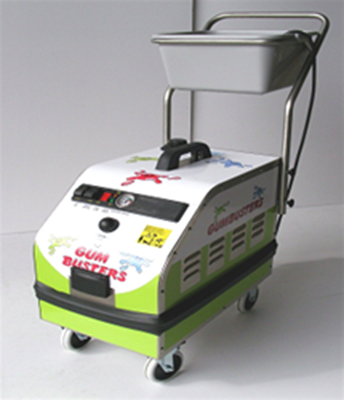 GumBuster’s patented GumBuster Jr. Vapor 6 Machine combines steam with an environmentally safe, non-toxic cleaning solution that disintegrates gum and grime on any surface indoor or outdoor. The GumBusters Jr. System out-performs the traditional methods of scraping and harsh chemicals. The gum is removed without disrupting normal business operations and eliminates those unsightly black spots from your sidewalk instantly.